This integration, once activated, will automatically export any new customer contacts created in your Setmore account to your Salesforce account. This functionality works if you create a new customer manually in your Setmore dashboard, or if a customer creates their own entry through your Booking Page. Please note that this is a one-way integration. New customer contact information will export from Setmore to Salesforce, but new contacts created in Salesforce will not import into Setmore. Also please note that this integration does not support the Enterprise version of Salesforce. 1. 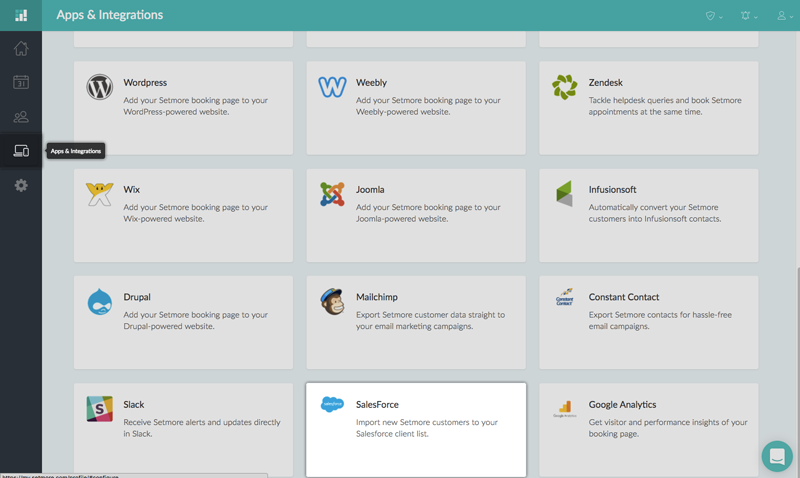 In Setmore, navigate to Apps & Integrations, then scroll down and click on the Salesforce integration card. 2. Click the "Activate" button in the left-hand column of the Salesforce details window. 3. 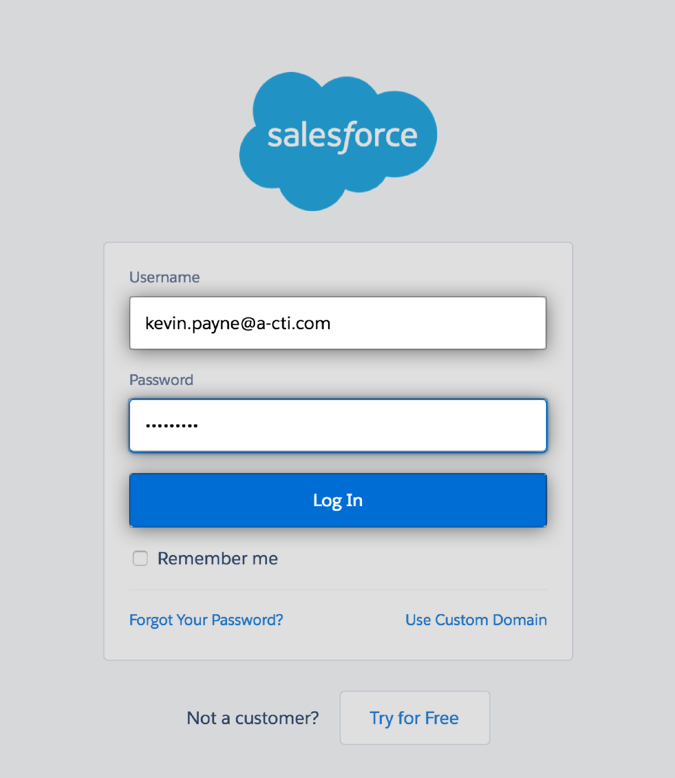 You'll be prompted to enter your Salesforce login information to continue. 4. 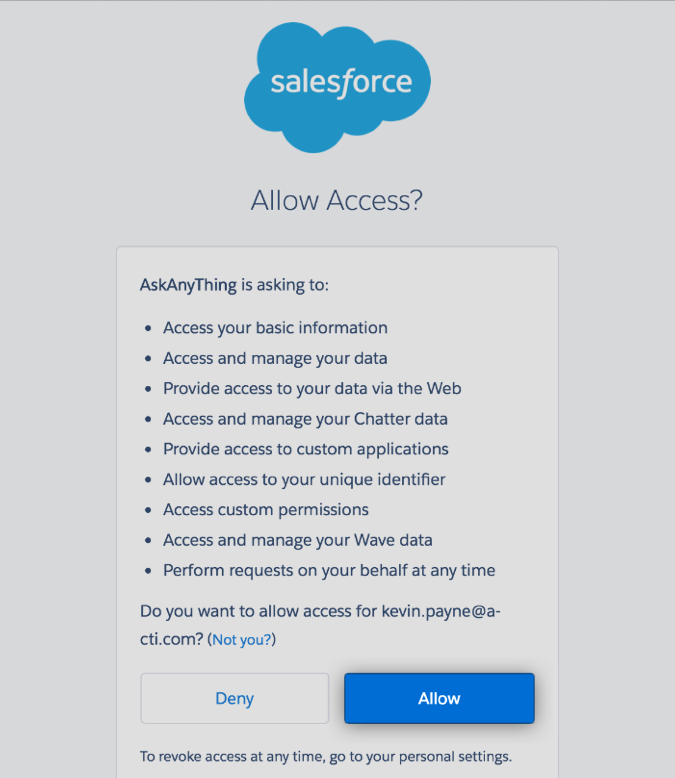 In the next window, click "Allow" to allow access to your Salesforce account through Setmore. The integration is now activated.